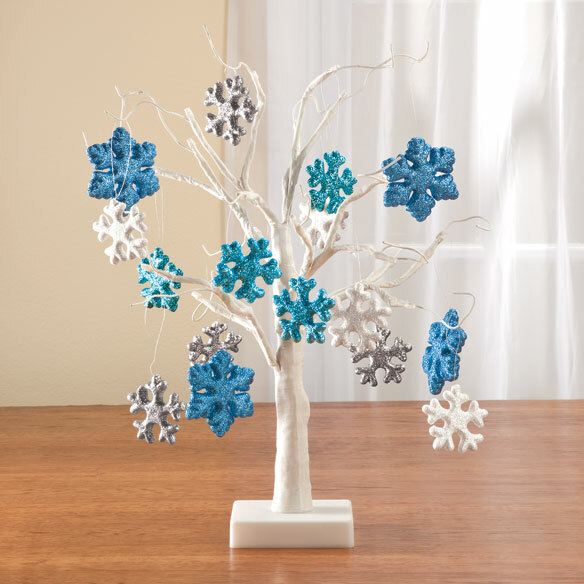 Sparkling with white LED lights, this year-round tree celebrates every holiday! Pre-lit with 18 LED lights on bendable branch ends, it features on/off switch and timer (sets for 6 hours on/18 hours off). Uses 3 AA batteries (not included). 18″H. Ornaments are plastic, wire, polyester. Celebrating the big Christmas countdown, our Santa Claus Christmas Countdown Calendar lets you track the days ’til Santa comes! Sure to delight little ones waiting for that magical day, our Christmas calendar is crafted of solid wood and artfully painted all around. 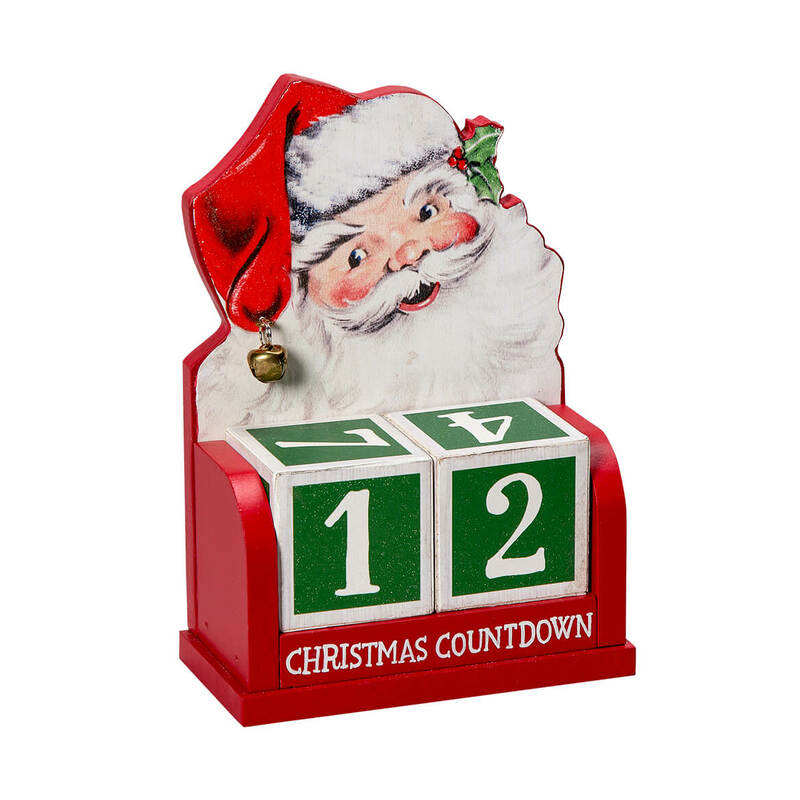 The stand features a nostalgic Santa Claus with a real jingle bell on his jolly red cap—and includes two number blocks to change each day from December 1st until Christmas. It’s a fun tradition for your own family, and a gift to love every year! Stand: 4 1/2″ long x 2 1/4″ wide x 6 1/2″ high. Blocks: 1 3/4″ wide. Topped with a plush Santa face with stocking cap and fluffy white beard, the bright fabric Santa’s Countdown to Christmas calendar includes a plush candy cane to move from each numbered pocket to the next, ending the wait on December 25th. Complete with hook for hanging and dangling legs for added cheer, it’s a holiday tradition you’ll love each year! 100% polyester; spot clean. 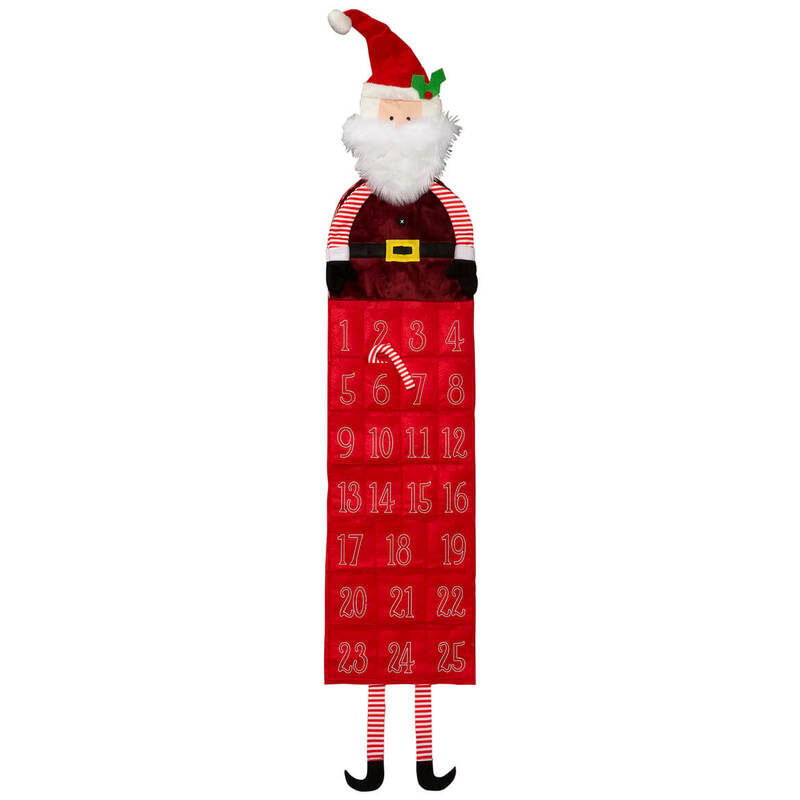 Fabric calendar measures 58″ long x 12″ wide with 2 1/2″ deep pockets. 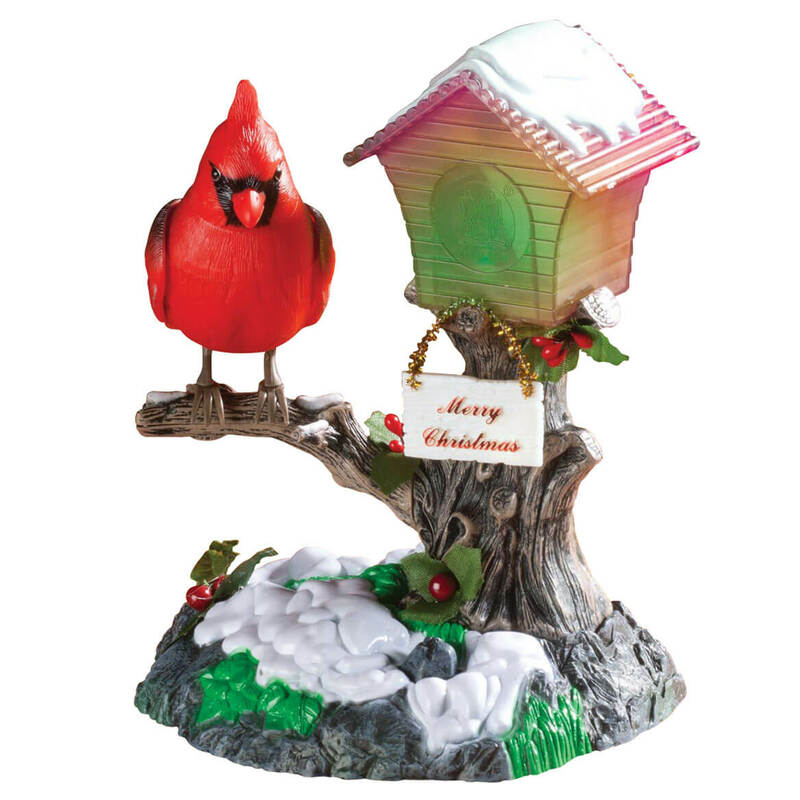 Make the holidays even merrier with this singing cardinal and lantern. The red cardinal whistles “We Wish You a Merry Christmas” with moving beak and flapping wings. His birdhouse flashes with multi-color lights in time to the music. Just press the cleverly disguised switch at the base for Christmas Cheer! 6 long x 5″ wide x 7″ high. Plastic; requires 3 AA batteries (not included). With 10 colorful solar Christmas bulbs powered by old-fashioned sunshine, these holiday lights offer all the festive fun—without the surging energy bills! 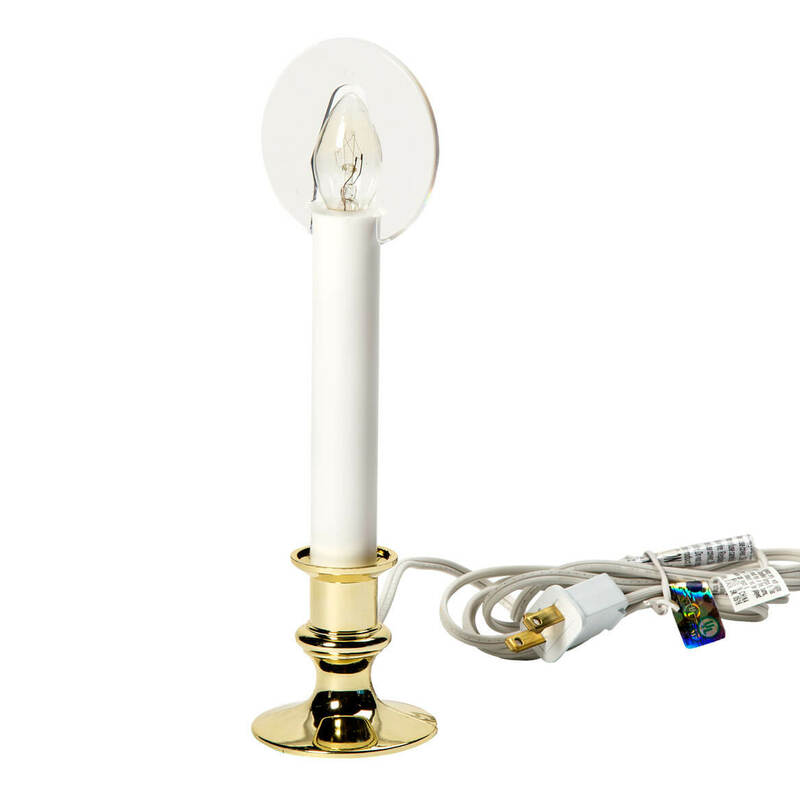 The solar powered lights require no outlet or extension cords, so you can string them just about anywhere around your yard trees, bushes, fences, mailbox and more. 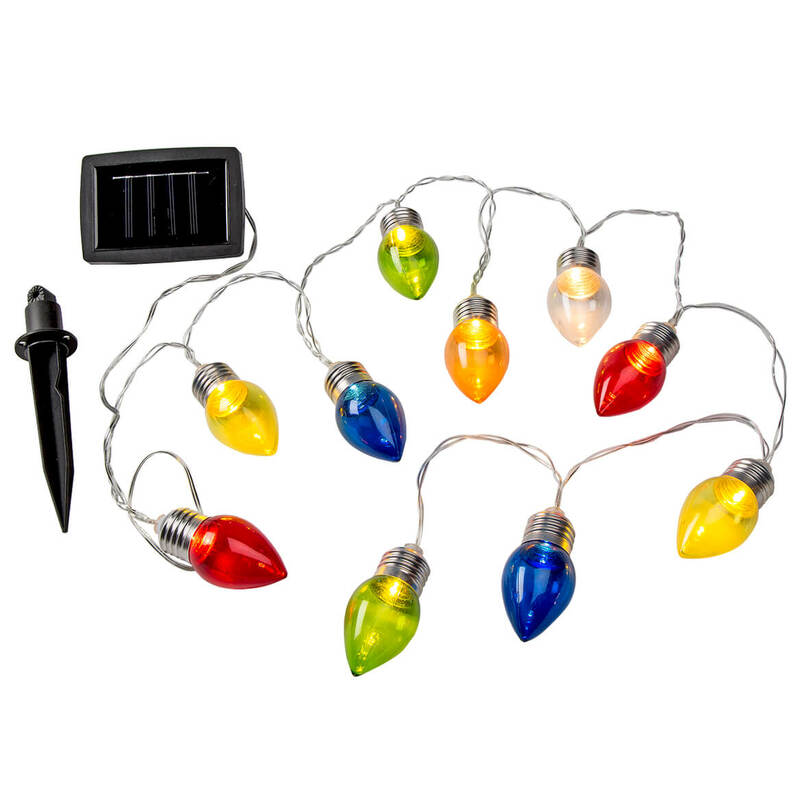 Set includes 10 bulbs in red, orange, green, yellow, blue and clear bulbs (each 3″ long x 1 3/4″ wide), spaced 6″ apart—measuring 49″ from first to last bulb with 78″ of cord between first bulb and solar-panel ground stake (4 3/4″ high). Solar panel charges best when exposed to direct sunlight, automatically activating lights at night. Includes on/off switch. Plastic. Pinecone fire starters will make your fires enjoyable this season. Place pinecone fire starters under the logs in your fireplace. 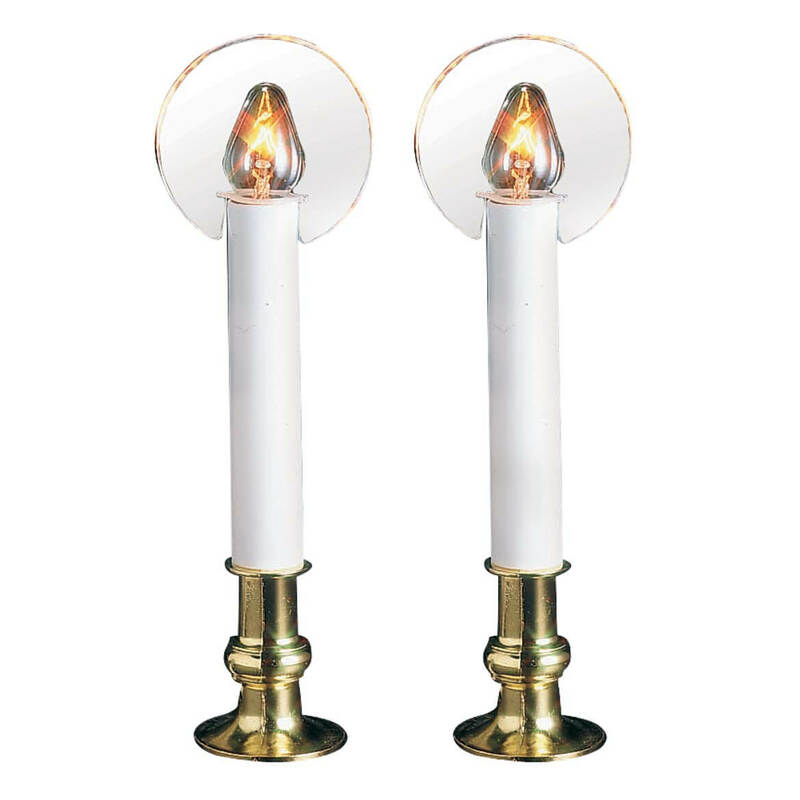 They act like hot, burning kindling to get your fire going. 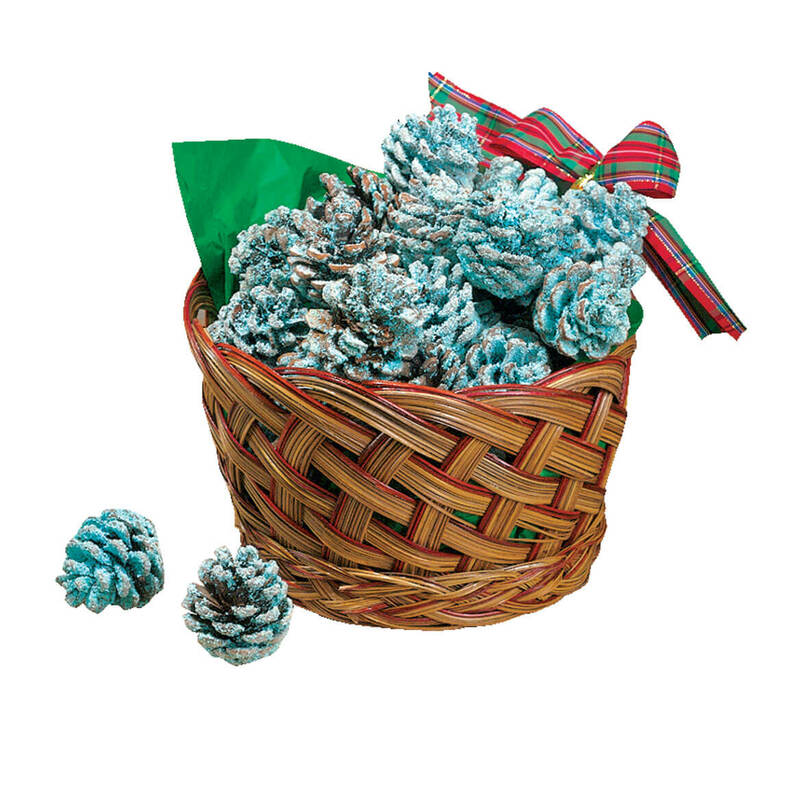 7″ basket contains approximately 30 pinecones. 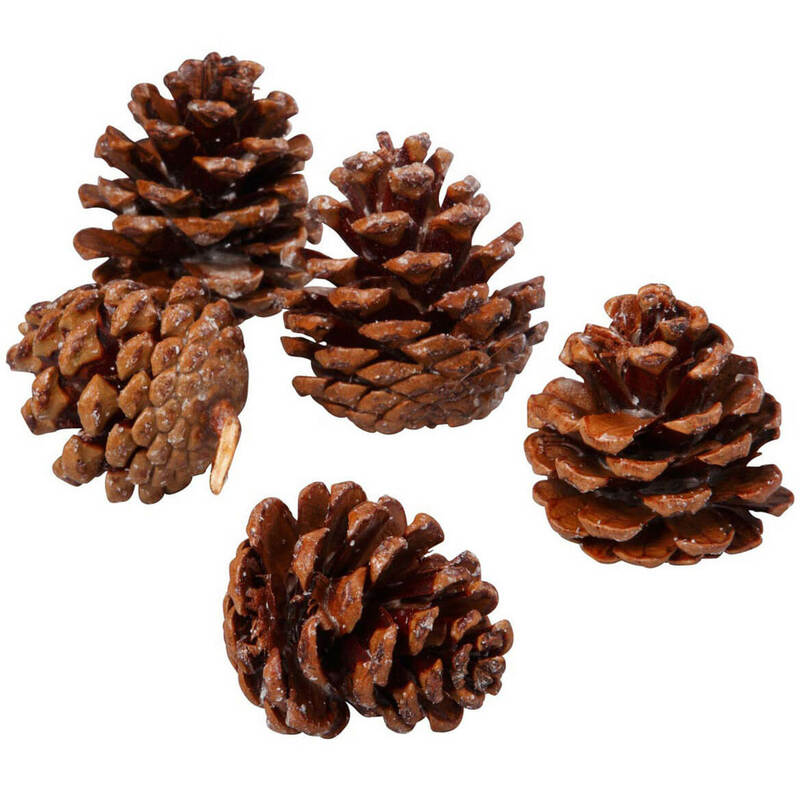 Treated starter pinecones refill will make your fires enjoyable this season. Place starter pinecones under the logs in your fireplace. They act like hot, burning kindling to get your fire going. 7″ basket contains approximately 30 cones. 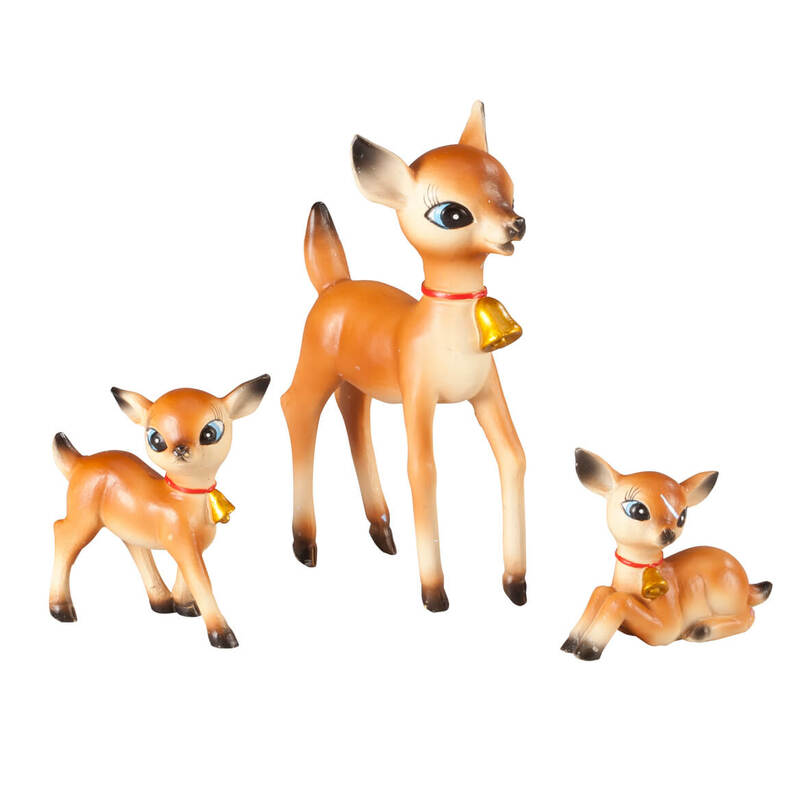 As if plucked from a holiday time capsule, these vintage resin reindeer are festive, nostalgic … and oh-so DEER! Inspired by Christmas decorations you loved as a child, our playful reindeer decorations are crafted of resin and authentically detailed all around. Each doe-eyed darling is simply adorable; all are posed differently, and each wears a little gold bell around the neck. Charming for mantel, windowsill, table or any retro-themed display, the reindeer statue set is a treasure you’ll love, year after year. Set of 3 includes: 2 3/4″ wide x 4 1/2″ high standing doe, 2 1/2″ wide x 2 1/2″ high standing fawn and 2 1/4″ wide x 1 3/4″ high sitting fawn.